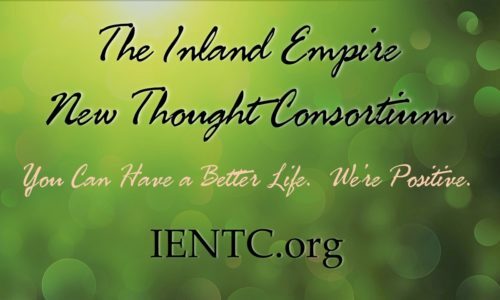 IENTC – You Can Have a Better Life. We’re Positive. CSL Inland Empire Concert Series- CSL Inland Empire presents the 2019 Summer Concert Series May 3rd, 7 to 9p.m. : Nikkal Feyrouz and the Dancing Belly – The Dancing Belly dancing group fuses Belly dance, Bollywood, … Read More "CSL Inland Empire Concert Series"
Dr. Dream and Portal to Ascension on April 27th- Claremont Center for Spiritual Living 509 S. College Ave. Claremont, CA 91711 Parking and Entrance is in the back. 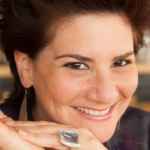 $25 in advance; $33 at the door Join Dr. Dream and … Read More "Dr. Dream and Portal to Ascension on April 27th"
Amy Steinberg Concert at Riverside CSL on April 13, 2019- CSL Riverside Uplifting, enlightening and hilarious with a voice that can burn the house down, Amy Steinberg is singer, songwriter and storyteller like none other. The main thrust of her … Read More "Amy Steinberg Concert at Riverside CSL on April 13, 2019"
Anton Mizerak and Laura Berryhill at Unity of Yucaipa, March 31st at 7:00p.m.- Transformational Healing Music Event will include instrumental songs and chants by Anton Mizerak and Laura Berryhill. Love donations of $10 – $20 suggested. When: March 31st at 7:00p.m. Where: Unity … Read More "Anton Mizerak and Laura Berryhill at Unity of Yucaipa, March 31st at 7:00p.m." 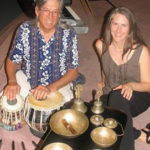 Anton Mizerak and Laura Berryhill at Claremont CSL, March 30th at 7:00p.m.- Transformational Healing Music Event will include instrumental songs and chants by Anton Mizerak and Laura Berryhill. Love offerings accepted. When: March 30th at 7:00p.m. Where: Claremont Center for Spiritual Living509 … Read More "Anton Mizerak and Laura Berryhill at Claremont CSL, March 30th at 7:00p.m." Daniel Nahmod Concert at CSL Beaumont, March 22nd, 6:30 p.m.- CSL Beaumont will be hosting a Daniel Nahmod concert on March 22nd, 2019 at 6:30 p.m. at CSL Beaumont! Check out CSL Beaumont’s Ticket page to get your ticket now! 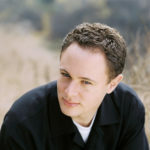 … Read More "Daniel Nahmod Concert at CSL Beaumont, March 22nd, 6:30 p.m."
Releasing the Old and Embracing the New- (*Event Closed*)​Set a New Intention In Motion For Your Life! We will begin with a mini retreat at the Salt Oasis Spa in Rancho Cucamonga, California. Then we will embark … Read More "Releasing the Old and Embracing the New"
THE PATH OF VEDANTA- (*Event Closed*) We are delighted to announce a new offering for this semester only. We have our first Visiting Scholar from India, Srivida Chaitanya, who will offer a course on the … Read More "THE PATH OF VEDANTA"
Bang Bang You’re Dead Play and Concert- (*Event Closed*) “Bang Bang You’re Dead,” written by William Mastrosimone was developed in response to the Kinkel Killings in Springfield, OR. to raise awareness of school shootings. 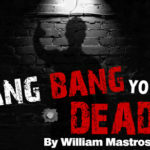 Since 1999 when … Read More "Bang Bang You’re Dead Play and Concert"
Releasing the Old and Embracing the New- (*Event Closed*) Spiritual Enlightenment And Truth Focus Ministry will be presenting a 1/2 day retreat and 30 day program on bringing change in your life starting November 12th. “Set A … Read More "Releasing the Old and Embracing the New"